beyondthejupiter (Homepage) wrote: Hi Paolo, really nice work of digital photography however I like this kind of expressionism mostly. Makes me to grab my old 350d and go outside. Robert Kruh (Homepage) wrote: Magnificent, love this one! BoB (Homepage) wrote: Mi viene da chiederti se non ti hanno calpestato la macchina, davvero un bell'effetto. 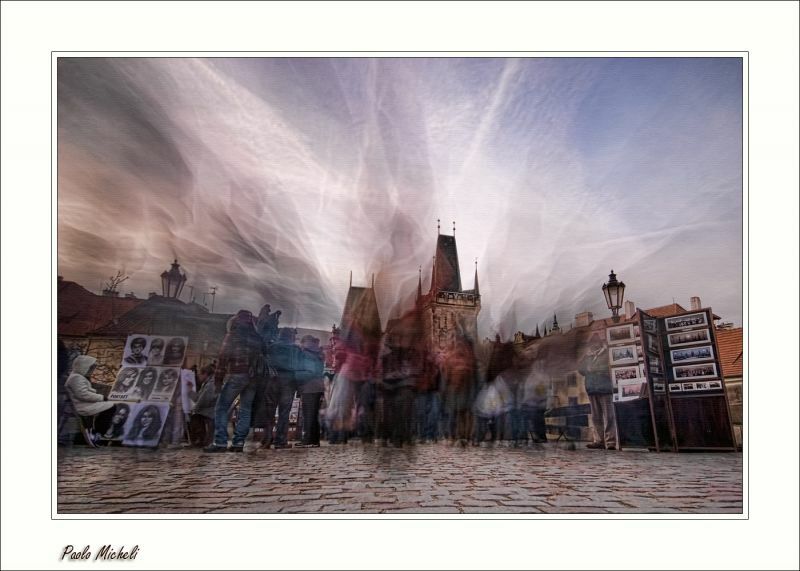 Andrés (Homepage) wrote: Looks like a city of ghosts and they are coming for you. Marcie (Homepage) wrote: WOW! This is magical. You've created an abstract painting out of these 'artists' and their work. my bundling (Homepage) wrote: Very nice execution of art.